Little, Brown Books for Young Readers, 9780316190114, 320pp. * "Carriger's second steampunk adventure exceeds the first... the fun, again, is in watching ever-practical Sophronia sneak and scheme her way into sometimes dangerous, sometimes riotously funny, situations.... We repeat: This witty, light-hearted series is not to be missed." 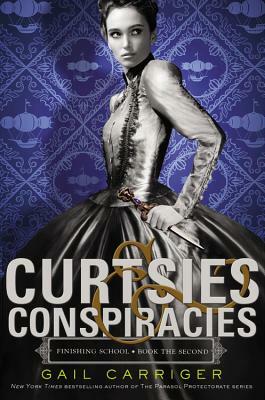 * "[A] delightfully madcap espionage adventure..."
"Blending intrigue and elements of the school story, Carriger introduces teen readers to a supernatural-meets-steampunk world full of action and wit."